Boudoir Wax has been designed to exfoliate, hydrate, and brighten the tattoo. Waxing with Boudoir will maintain the longevity of the tattoo. 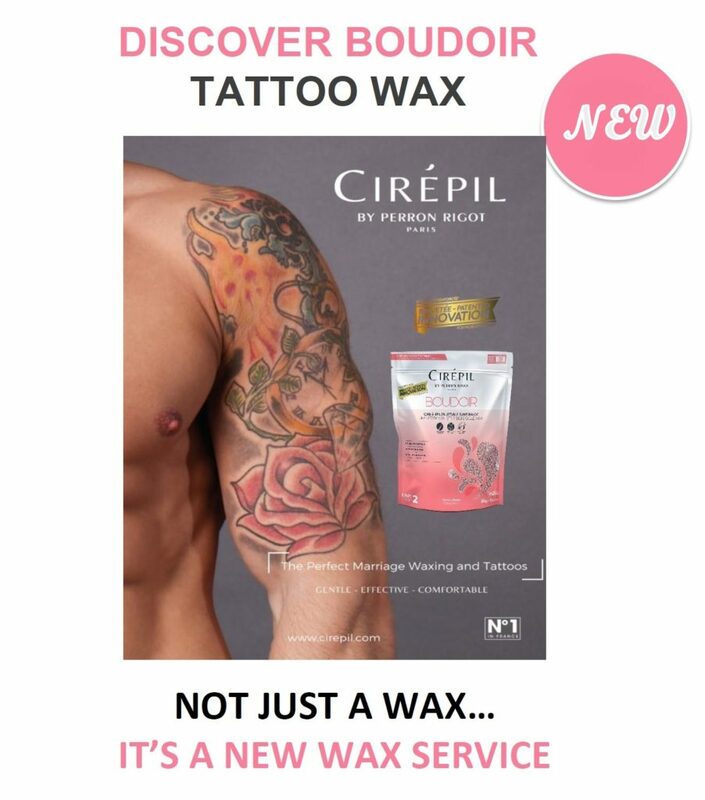 Why wax before getting a tattoo? • Hair begins to grow back within a day, causing stubble, the skin may be bumpy and itchy. • Hair doesn’t grow back for several weeks giving the skin more time to heal after a tattoo. • Result = No Pain OR Discomfort! Why Would I Wax After a tattoo? • Exfoliation and hydration are the two steps in maintaining a tattoo. • Boudoir Tattoo Wax has been designed to exfoliate, hydrate, and brighten the tattoo. • Waxing will maintain the longevity of the tattoo. • Recruit new clients with a unique and exclusive service. • Tattoos are for life – tattoos create loyal, lifetime clients! This entry was posted in Bay Area Estheticians, California Estheticians, Cirepil Wax, estheticians, Esthetics, Male Waxing, New Salon Products, Waxing, Waxing Tips. Bookmark the permalink.